Launching a new consumer product has different considerations and requires a different approach from business products. Arjun Moorthy left his role as VP of Business Development and Channel Sales at Hubspot to launch news app OwlFactor (originally CivikOwl), a web and mobile app that helps people figure out if they can trust the news they’re reading. What is OwlFactor and why did you start it? 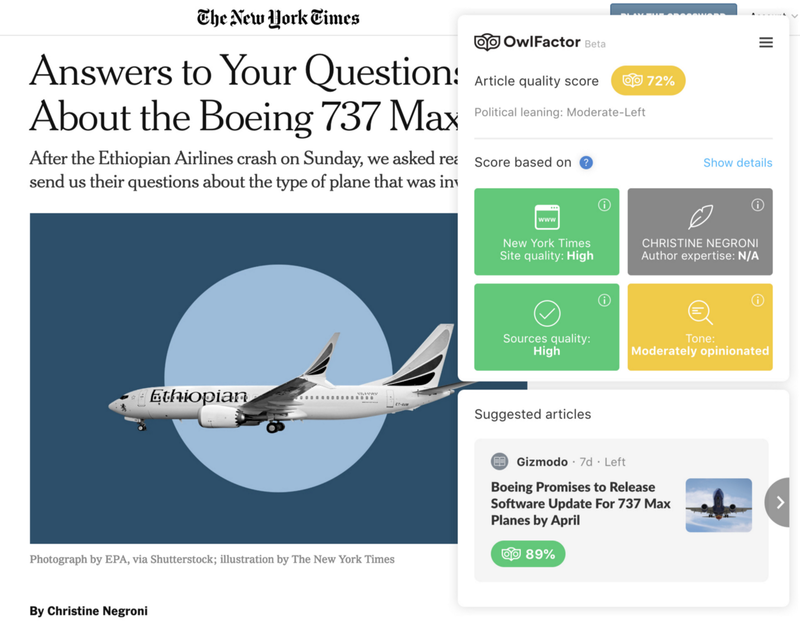 OwlFactor helps people figure out if the news they are reading is high quality or not and guides them to the best written news across the political spectrum. I’ve always been very passionate about the world of journalism. I was a paperboy when I was twelve and have found reading the news to be enjoyable and how many of my conversations start out with friends. So, when I saw the news industry struggling as its ad revenue went to Facebook and Google I thought about how technology could change the way we engage with the news and create new business models. To be honest, I was hopelessly naive and slightly arrogant when I started. But now, after a few failures, I think that’s mostly gone. And we finally have a product that can make a positive contribution to the journalism industry. You recently launched what you believe is your MVP. How do you think about marketing at this stage? Our product is a consumer product so marketing is incredibly important. I think in B2B (business to business) you can have okay marketing and sales can pull you through — you can get strong armed by the salesperson. In B2C (business to consumer) you may not have any sales people involved so marketing plays an outsized role. In B2C, especially something like consumer tech, the numbers that you have to deal with are fairly large. You’re thinking in the hundreds of thousands and millions of potential customers. So, one of the most important things to think about is: whatever marketing strategies that we might take on, how scalable are they? What is that average cost of acquisition going to look like? How repeatable is this strategy? Those are the things that I think about in marketing for a B2C company like OwlFactor. What marketing have you done so far and why? Our most recent MVP launch was a modest success and that was partly because we spent a lot of time thinking about the launch marketing plan. We thought that message would resonate with people because the problem of fake and biased news is very topical. We thought a sort of short funny video would engage people and might get shared. That assumption turned out to be right. We lucked out and found this amazing videographer who agreed to do the job for free. We spent no money and we ended up getting 10,000 views and almost 1,000 installs of our product, which was about 5x better than we anticipated. The launch actually had many moving pieces. We put out a blog post, a guest post from a user, we used product hunt, we had the video, we had email marketing, we had tons and tons of stuff. It was really carefully orchestrated. Then afterwards, we said, “Okay well what worked, and what didn’t?” There were lots of surprises. The video was a big surprise that it worked so well. We found that email marketing had moderate success, but not in the way that we thought. It wasn’t so much that the emails themselves led to a lot of direct installs. But the emails were forwarded and shared with other people and then ended up getting more and more people involved. We’re still learning what works and what doesn’t but the thing that I’ve found in B2C, is I think you have to constantly be creative. It’s got to be different every time otherwise people are just very fickle and won’t engage. You’ve invested a lot of time and thought in your positioning and messaging and brand. Tell me about that. I think brand and positioning is critical in B2C. You are blasting out a message to an audience that is already inundated with product messages. So you need to stand out in your 1-sentence pitch and be simple enough for people to understand. Writing this sentence has been far harder than I thought. To be honest, I’m not very good at it. I’ve been fortunate to have some great consumer marketing experts who have helped us figure out our positioning. And when we finally landed on our tagline “News On Your Terms” it clicked and has guided our product and simplified our strategy dramatically. You worked at Hubspot, a B2B (business to business) company before starting OwlFactor. What challenges did you face as you shifted to B2C? I think B2B marketing has a logical approach. You have a buyers journey that has multiple points in it, where the buyer has to make various decisions towards getting to the final sale. There’s many people involved in the decision perhaps, influencers and champions things like that. So, marketing and sales can tag together really nicely, have the correct messaging at the right points for the right people. And you sort of just lay out this journey, and all your touch points in your messaging and you play that over and over and over and over again. You can build that engine. Lots of companies have done it, and it works. That’s not to trivialize the effort. It’s still hard to break through the noise. But I think if you’ve got a well identified target market in segments then there are a number of different tools that you can use to reach people in B2B marketing, particularly tools that have measurable ROI. I think with B2C you have to be much more creative with marketing because your customer is seeing product messages all day, everywhere. So you have to constantly try out news ideas, many of which will fail. What’s key is to have some systematic way to measure. Initially, I didn’t find Facebook ads to be useful for much. But later on I found an amazing performance marketer who really explained how to use the platform’s strengths and helped us create a fantastic testing/iteration framework. Since then we’ve found Facebook to be great for testing out messaging and targeting ideas. Not perfect but for a small amount of money you can find directionally useful information very quickly. How do you approach customer acquisition at OwlFactor? Since we’re a subscription business we drive based on our LTV:CAC ratio (Lifetime value : Customer Acquisition Cost). So we know how much we can afford to spend acquiring customers. There are three marketing buckets we look at for customer acquisition. Organic, Inorganic, and Growth hacks. In each we segment further by what tactics work now at launch and what will work when we scale. And within these buckets we have various tactics we test and run as long as they meet our CAC goal. What is less clear is how to build a brand and how to value that effort. That’s something I’ll have to figure out in the near future. What is the most critical lesson that you’ve learned in these early stages? Nearly every tech startup is trying to do something very innovative. Innovation is a slow process with lots of failure. The team that succeeds is the one that can iterate the fastest. And iteration is based on speed and quality of feedback. So the most critical thing I’ve learned is to build a testing framework to get you rapid, valuable, and fresh feedback with each iteration of your product. We do a combination of qualitative and quantitative testing each sprint. For qualitative we recruit random users via a platform called Respondent. For quantitative we use Facebook ads. That combination has proved to be very valuable in guiding our product. You can find Arjun Moorthy on Twitter or Medium. 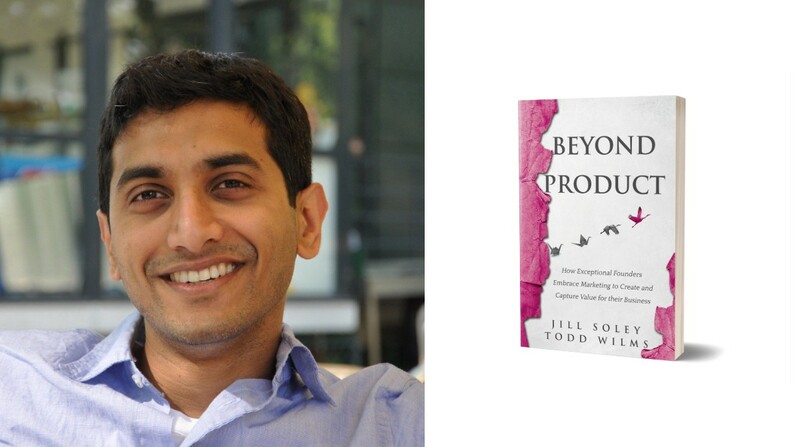 For more from Arjun and the other 50 startup leaders interviewed for Beyond Product, get your copy at Amazon.com, B&N, or one of your other favorite retailers.